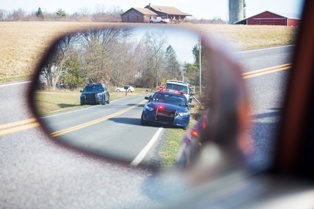 In Virginia, there are a variety of traffic violations that may constitute reckless driving, which is a class 1 misdemeanor in Virginia and carries up to a $2,500.00 fine, up to a year in jail, and could also lead to suspension or revocation of your driver's license. For example, Virginia Code § 46.2-862 makes driving 20 mph or more over the speed limit or over 80 mph reckless driving. Virginia Code § 46.2-852 very broadly defines reckless driving as driving recklessly or in a manner that endangers a person or his property. You should not take receiving a reckless driving ticket lightly because it is a misdemeanor offense that may result in having a permanent criminal record and carries stringent punishments. Your first step should be to retain an experienced reckless driving attorney if you are charged with this offense. Depending on the circumstances of your case, your attorney may be able to reduce your charge or have it dismissed. While working towards a dismissal of the charge is always the goal, often a reduction of the charge is the best that can be done. If you have been charged with reckless driving, Virginia Code § 46.2-869 allows the judge or prosecutor to reduce a reckless driving offense to improper driving if the culpability is slight. Numerous factors play into the determination of whether culpability is slight. Having an experienced attorney on your side will help ensure the factors the court finds most persuasive are shared in court or with the prosecutor so you can avoid the penalties associated with reckless driving. Reckless driving is generally a class 1 misdemeanor with penalties of up to 12 months in jail and a fine of up to $2,500. Your driver’s license can be suspended for up to six months, and six demerit points are assessed by the DMV, which will remain on your record for 11 years. This is on top of a permanent criminal record. Improper driving is a traffic infraction and carries up to a $500 fine. There is no possibility of jail time or license suspension if convicted of improper driving. In addition, only three demerit points are assessed by the DMV, and those points will remain on your record for only three years instead of eleven. A number of factors can affect whether or not you will be able to get a reckless driving charge reduced to improper driving, a different charge, or have the charge completely dismissed. Having a clean driving record, showing this was a borderline speeding case, performing community service, and taking a driver improvement or educational course are a few of the positive factors that may result in your charges being reduced. Have you been charged with reckless driving? Let our experienced reckless driving attorneys help you achieve the best possible outcome in your case. Call us to schedule your free consultation today.